Our man crush this Monday is Alexander Chuka Iwobi . Alex Iwobi is a Nigerian professional footballer who plays as a forward for Premier League club Arsenal and the Nigeria national team. He scored the lone goal which has qualified Nigeria for the world cup in the match against Zambia on Saturday. The game between Nigeria and Zambia was a tough one which kept Nigerians at the edge of their seats till the end but 21-year-old Iwobi kept a cool head while all around him were losing theirs. His understanding of space and speed of thought decided the game. 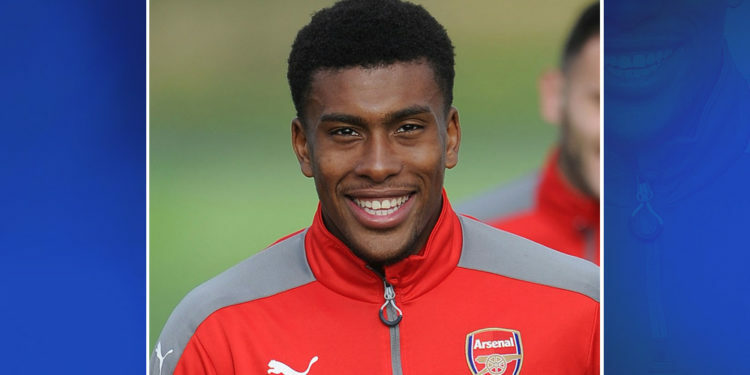 Iwobi who is a nephew to ex-professional footballer Jay-Jay Okocha, joined Arsenal while still at primary school and was first involved in a first-team match as an unused substitute in a League Cup match against West Bromwich Albion on 25 September 2013. He signed a new long-term contract with Arsenal in October 2015. After getting a first Champions League start in a 3–1 away defeat to Barcelona, Iwobi went on to score two goals in his first two Premier League starts in wins against Everton and Watford, respectively. Iwobi achieved further success with Arsenal in the 2017 Community Shield, in which Arsenal beat Chelsea on penalties. Iwobi went on to play for Nigeria. He made his senior debut for the Super Eagles on 8 October 2015, replacing Ahmed Musa in the 57th minute of a 2–0 friendly defeat to DR Congo in Visé, Belgium. He was selected by Nigeria for their 35-man provisional squad for the 2016 Summer Olympics. With Nigeria, Iwobi went on to win the bronze medal at the games, in a 3-2 victory over Honduras in the third-place final. Iwobi has brought Nigeria more honor and has made history. 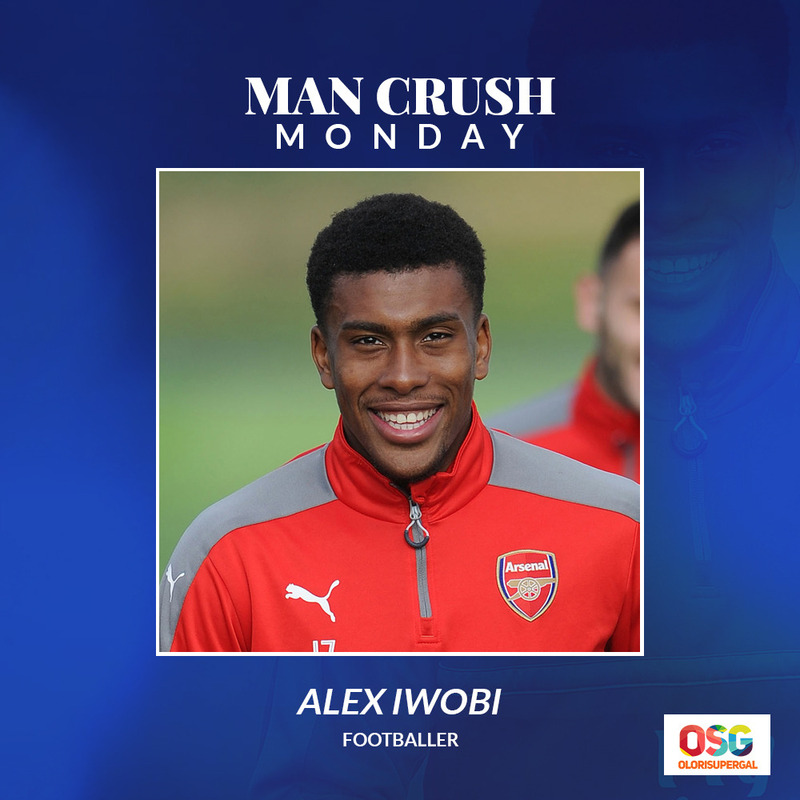 We celebrate the young brilliant footballer Alex Iwobi, as our man crush.